Businesses, large or small, will stress out when problems bog down their operations. Whether it’s your utilities, renovation, or interior design, this could pile on the stress you’re experiencing in the office if you don’t have someone who can fix it for you. A contractor is a possible option for you because they work within the guidelines of the contract specified for the job you need. You can also opt for a handymen who are skilled workers that can do certain jobs for you. The problem is you don’t know when to choose one over the other. 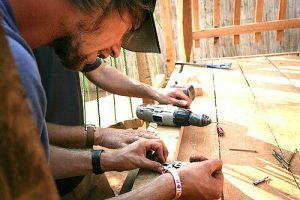 In this article, we will try to pin down the main reasons why you should opt for a handyman over a contractor. The goal is to help you make the right decision for your office or home. As the name suggests, a handyman can do repairs and renovations for you. The diversity of their skills allows them to work on almost any job your office space or home needs. An experienced handyman can work on plumbing, electrical system, and even interior design. There are professional licenses for many of the jobs that you might need to get done. A reliable handyman will have multiple licenses which means they can work on different aspects of a large project and you can hire them for specific jobs as well. It would be advisable to interview your handyman before you hire them for a job. You look for the experience which means they’ve worked many different jobs in various locations and settings. This is a testament to their reputation and they will come with many references from past clients. A good handyman offers many different services such as preventive maintenance, all-around repair, and even round-the-clock servicing. This makes them a one-stop shop for those who are in need of a professional to do a job. You also need a professional who works deliberately and focuses on the task but is also responsible and courteous when dealing with their clients and their property. They honor the client’s time and consider their budget and still be able to deliver the service they need. Handymen, in the past, would only be hired for small projects such as door repairs, lock repairs, and fixing a broken bulb. The skills that handymen possess now allow them to compete with contractors when it comes to complete large projects. The best part about hiring a handyman is they won’t charge large rates and they can work on your problem right when you need them. It is time to start trusting your handyman when you need someone to work in your office or home.